Protect your assets from flooding with Floodstop 650. Deploy on a semi-permanent or permanent basis. 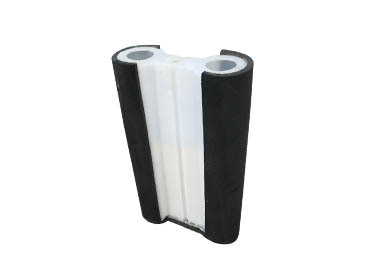 Why Choose our Floodstop Flood Barriers? 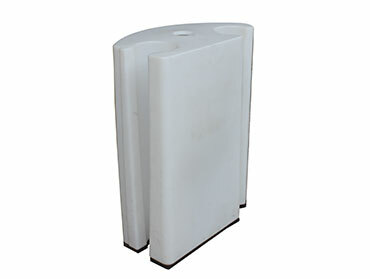 Our 0.65 high Floodstop barrier (also known as Floodstop 650) is our newest barrier in the popular Floodstop range. As with all our Floodstop barriers, Floodstop 650 can be assembled to any length and be arranged to suit any direction and opening. This system also has the capability to be assembled to our existing 0.9m high Floodstop barrier and multi-hubs. 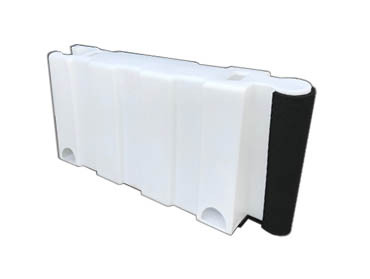 Uniquely our each Floodstop 650 barrier has a connector moulded into the unit. By reducing the components required to deploy the barrier we are reducing cost and deployment time. 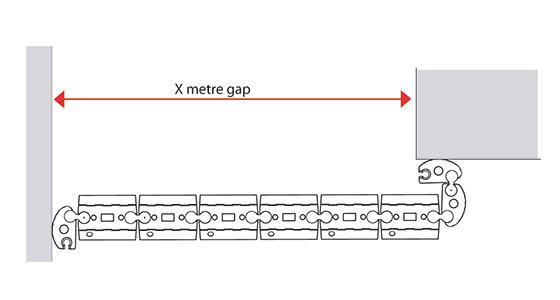 The flood barrier is assembled by connecting up the 1.2 metre long modular units. When deployed (specifically) Floodstop 650 requires 50% of the units to be pre-filled with water ballast. The remaining units in the deployment will automatically fill with the rising flood waters. All units incorporate a hard-wearing EPDM gaskets to ensure sealing. For acute cornering or wall connection in a Floodstop assembly a Multi-hub unit is simply used. In the above set up a free board is required. Spare Interlocking key required in some Floodstop 650 deployments. This component is approximately 15kg.